Neighborhood parks, picnic areas, lakes, rivers and green spaces are a central part of every town. These stories all celebrate the civic gift of local parks and all the magical opportunities they give to the people who live there! Harriet Hawk returns one afternoon with news! It's news that Ben Thompson is at once excited and nervous about: she has found the home in which he was born! His friends all think he should go out and find the house, and so they make him a map. Ben's hesitation dissolves when his friend Sergeant, the steadfast watchdog, volunteers to go along. 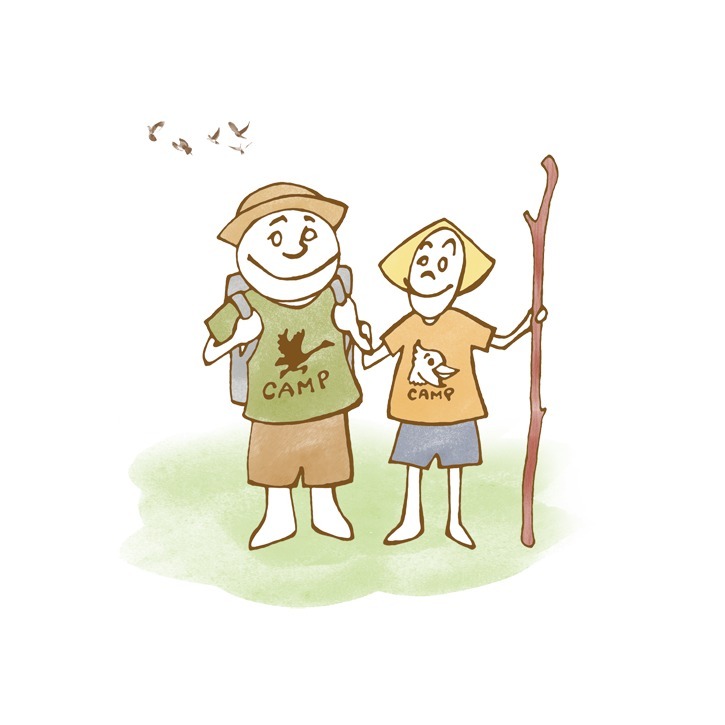 Poppi’s story is about his first cubscout overnight camping, and how the troup needed to move their tents in the middle of the night. Poppi and his other tent mates were also faced with an additional challenge – helping a boy who is too frightened to get out of his sleeping bag. This is a story about "the law of the pack" or taking care of your group. Once a week Martin and Sylvia's family takes care of the neighbor's active dog Rufus - and one morning Daddy suggests they take him to the new dog park in town. When Martin hears Daddy's description of the dog park, he suggests they take their old dog Billbill as well. Sylvia is nervous about this at first - but she soon sees her old dog find new friends! A series of odd coincidences leads Ben Thompson, curious cat, to the suspicion that his best friend Sergeant, the steadfast watchdog, will be returning back to his puppyhood farm and leaving the Junkyard. Ben then concocts a far-fetched plan to keep his friend here — not realizing that he has made the entire scenario up!